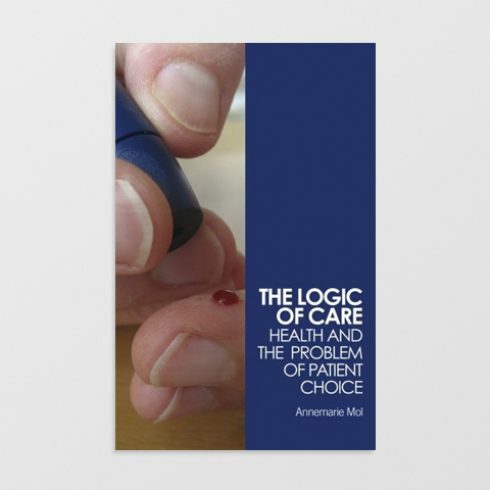 Mol argues that the dominant logic currently surrounding disease and patient treatment is that of a ‘Logic of Choice’, and that this undermines what she terms a ‘Logic of Care’. For Mol, worrying solely about ‘patient choice’ is often a form of neglect. A fascination with ‘choice’ often occurs at the expense of care. ‘Individual choice’ is an idealized part of Western medical systems, but what does an attention to ‘choice’ obstruct? For Mol, ‘patient choice’ is often at odds with ‘good care’. The idea of championing ‘patient choice’ in modern health care services is meant to disrupt top-down approaches to health care that tend to silence patients and make them subservient and passive recipients. What Mol demonstrates is that ‘choice’ has not corrected this hierarchal relationship, but has instead complicated health care systems ability to work alongside patients to manage the complexities and intricacies of their disease. Based on long-term ethnographic research with people suffering from diabetes, and fused with real clinical examples, Mol carefully details the ways that a logic of choice has upended health systems, while arguing for a relational logic of care that is oriented to the everyday lives of those living with disease.